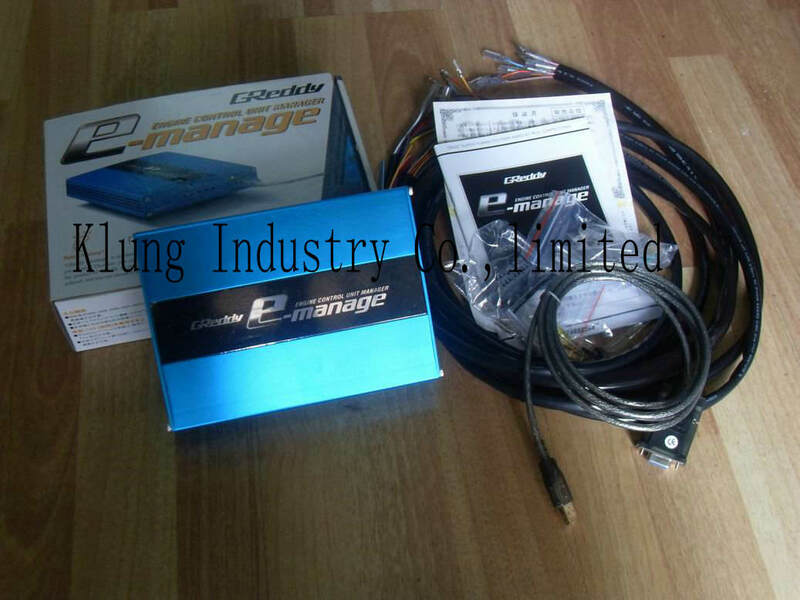 This includes the main wiring harness, assorted male/female connectors, splice harness, hex wrench, adjustment tool and instruction manual . This includes the E-manage software (windows based CD), data-link cable and software manual. This additional wiring harness has enough wires for both the ignition timing control and the fuel injector controls. Adjustments to signal output voltage in +/- % of input signal voltage up to 50% on a 256-point map. Adjustments to injector pulse width, increases up to 100% on a 256-point map. Adjustments +/- 20 degrees on a 256-point map. Support for a pressure sensor or second MAF for forced induction applications. Anti-stall clamps for forced induction applications or where airflow exceeds the capabilities of the MAF sensor. Ability to control larger fuel injectors and MAF sensors. Supports two additional sub-injectors for additional fuel delivery.